It’s no secret that boat decking is a critical piece of safety gear while out on the water. Years ago, the material was either coated with textured paint, molded with patterns in the deck, or covered with teak wood and affixed to the deck with screws/glue. Attractive, non-skid decking alternatives have come a long way since then. Maybe you’ve heard of PVC (polyvinyl chloride) and EVA (ethylene vinyl acetate). 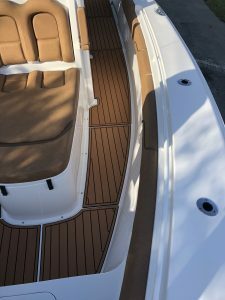 In this blog post, we will dive into both materials and how they’ve turned into the preferred non slip decking options for boaters all over the world. Typically, the PVC version of teak comes formed in long rolls of narrow strips, as explained in this article from BoatUS Magazine. Manufacturers have designed a “tongue-and-groove” system to make interlocking these strips hassle-free. Keep in mind that the patterns covering the deck are made from strips cut to length, joined together, and then bound by a border. Today, there are a number of professional installers who specialize in faux teak marine decking. Customers can take their pick from different color combinations and styles. One final thing to consider about faux teak anti-slip decking is that it’s glued down and intended to be permanent. This closed-cell foam is commonly found in flip-flops (think Crocs). As opposed to carpeted decks, boaters can hose off the EVA surface or scrub it with soap and water to keep it looking new. The real advantage with EVA foam decking, though, is how it feels underfoot. Not only does the foam cushion your feet and joints, but it also reduces fatigue from vibration. 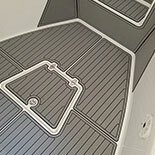 Fishermen absolutely love this particular anti-slip decking because it acts to deaden sounds. It’s important to know that EVA foam boat decking should last at least seven years or so depending on how you maintain it. Unlike faux teak, it’s designed to be removed without hassle or permanent damage to the fiberglass. At Marine Decking, our material is applied with a pressure-sensitive adhesive from 3M that never dries out completely. Boaters with this kind of decking appreciate that it can be peeled or scraped up with a plastic tool, leaving fiberglass behind. Installing EVA is a “peel and stick” operation without the need to use glue or contact cement. All you need to get started is a proper template. 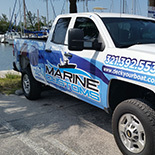 At Marine Customs, we provide a completely custom and unique installation for any boat. First, our Custom Design Consultant creates a digital scan of your boat. From there, it’s imported into our CAD software where customization takes places. We can handle custom patterns, graphics, and logos of your choice. At this point, the material is fabricated on a high precision CNC machine. 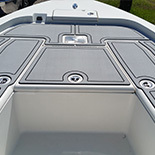 Our consultant completes the process by installing the finished product on your boat. Would you prefer to template the boat on your own? Folks outside of Florida choose our “semi-custom” route for their project when they use one of our kits to template their own boat. 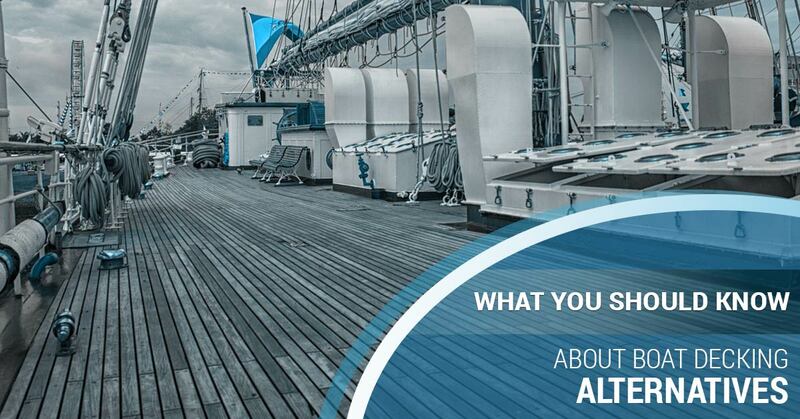 In terms of finding a SeaDek alternative, nothing beats the products at Marine Decking. Call us today to get started.